I probably have more pink and red polish than any other colors. I really love them the best. They're pretty typical polish colors, but I think they're typical for a reason. They're gorgeous and girly and women just love them. 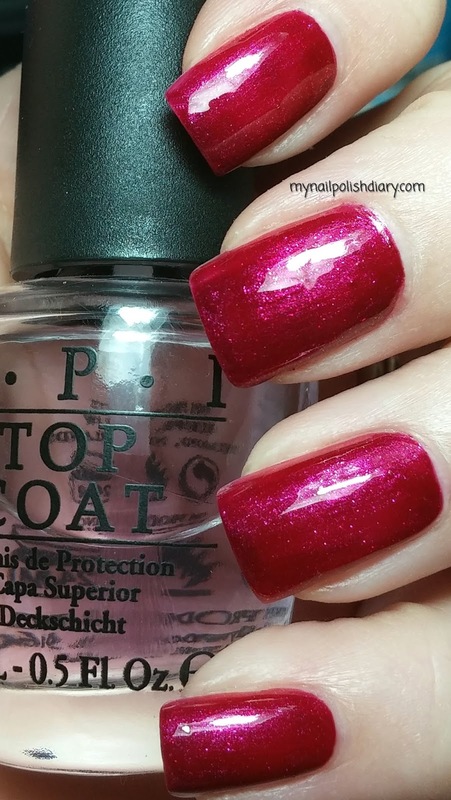 OPI The One That Got Away is part of the Katy Perry collection released back in 2011. The One That Got Away is a red wine with pink shimmer. It's a pretty color. I like it a lot. The formula is just perfect. It's a little sheer so I did 3 coats to get it opaque, added some quick dry and beautiful! stunning color ! i like this !